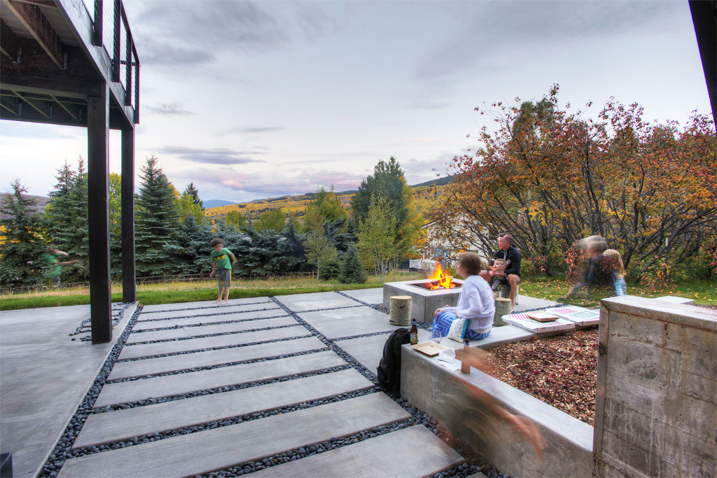 Terrain was hired to provide landscape architectural services for a beautiful lot located in the heart of Snowmass, Colorado. The project focus areas were the rear fire terrace, maximization of lawn on the west side of the ditch, screening of adjacent residences, autocourt/overall site grading and planting design. Multiple rear terrace layout options were drawn in order to land on a design that best fulfilled the client’s desires while responding to site constraints and opportunities.